What's your most important goal? Why does it matter so deeply? How will you overcome the obstacles? 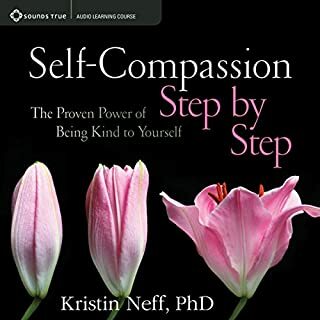 Answer these questions with sincerity, proceed with mindfulness and compassion, and you have just set in motion a revolutionary method for personal change that is supported by both the latest science and traditional wisdom. On The Neuroscience of Change, psychologist and award-winning Stanford lecturer Kelly McGonigal presents six sessions of breakthrough ideas, guided practices, and real-world exercises for making self-awareness and kindness the basis for meaningful trasformation. 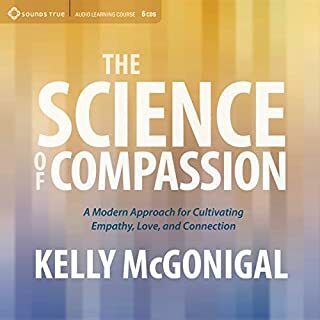 I first became acquainted with Kelly McGonigal through her talks published on youtube, and her work on compassion and social change is the best. YES! she does use brain science to back up her ideas (one reviewer below denies it). Yes, her methods are practical, though they must be steadily and regularly implemented. Read her book on willpower along with this one. 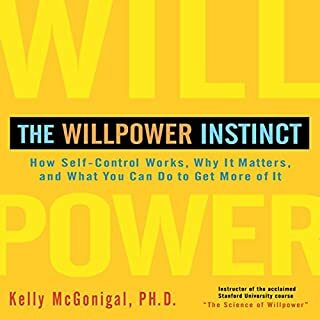 They dovetail nicely, and the book on willpower will help you understand and apply the principles in this book. 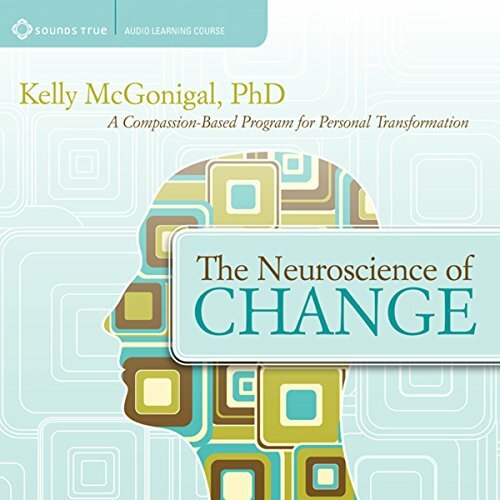 Would you consider the audio edition of The Neuroscience of Change to be better than the print version? It is a really awesome book. If you take the time you can change your world for the better. You should also read her book on willpower. I don't really care about the "traditional disciplines" What I do care about is that it works. If taking 20 min a day could make almost every part of your life better why wouldn't you. 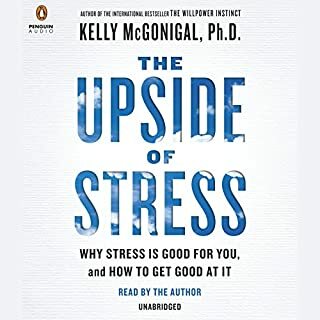 I bought this book based on the title and Kelly's background (I follow both her and her sister) looking to learn more about cutting edge techniques, based in neuroscience, for personal change. Kelly did deliver this, but the audiobook is split about 35/65 on information and guided exercises, respectively. I think both are good individually, but the title of the book lead me to believe that the focus was on neuroscience. It would be better to split this into a book about neural based behavior change and a guided program. This program also was often very hard to stay engaged with... I found myself zoning out repeatably (and not because I was meditating). I'll venture a guess that it suffers from similar problems to many self-help books in that it tries to be overly prescriptive ("you're probably feeling x") and is often unrelatable... even if I actually AM feeling X. For a case study, try saying to your spouse or friend: "when you say X you're attacking me" VS "when X is said I feel attacked". In the first case you'll likely get denial while in the second, repentance. This book reads like that first case and I often felt myself digging in and thinking "nuh-uh! That's not me." Let's few honest, is probably exactly me. A fantastic foil to this approach is "The Alchemist", which encodes the whole thing into a very digestible story. In short, there's good things to be learned in this book but you have to work to get to them. The title would be more accurate as "Changing with neuroscience"
This book is about meditation... DISAPPOINTED! This is a book about meditation. Fine for some. I wanted a book on neuroscientific facts or studies. The slow and boring pace where meditation is taught is not typical of a book about neuroscience. Change Through Meditation would have been a better title. I would not have wasted my money. Would you ever listen to anything by Kelly McGonigal again? NO!!!! I purchased the book after seeing an impressive performance on TED Talks. This book is nothing like that presentation. I feel a bit robbed. It was read so slowly, I was bored at the first sentence. Again, this was a "How To" on meditation, not material about neuroscience. Worst diction of any Audible narrator yet. 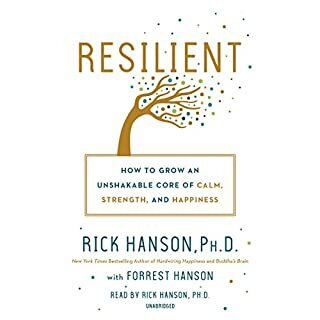 Where does The Neuroscience of Change rank among all the audiobooks you’ve listened to so far? It ranks very high. Content is superior to most. Narration is almost a fatal flaw. The most memorable moments are those where scientific observation validates theory that I am able to train my brain/mind to produce new and different results in areas of my life of my choosing. The narrator sounds like she is making a deliberate attempt to mispronounce words. (i.e. exhale comes out ex hal) This is coupled with inflections of words in declarative sentences that I found very distracting. If the content of this book were anything less than outstanding, I could not listen to it. In fact, if it were redone by a competent narrator, I would buy it again. I've listened to this book over and over! Each time I listen to this book I pick up on something new, and have new meditation experiences! I can't recommend it enough. Love the way she presents information in a way that is relevant and new. What did you learn from The Neuroscience of Change that you would use in your daily life? Love the combination of Science and western traditions. So interesting! It is very good material-if you can get past her reading pattern. Did The Neuroscience of Change inspire you to do anything? It's hard for me to finish this book. I think it is the, "Valley girl voice"? For a book over $25 or a credit; with narration like this authors; I feel robbed. What would have made The Neuroscience of Change better? The Challenge: The book is presented as a fact based, scientifically proven guide for personal change - who doesn't want to perform better at work, love better at home, and serve better in the community? 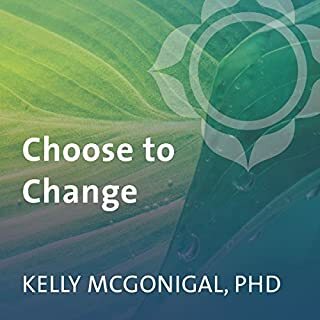 The only way to perform, love, and serve better is through change, and what better option than a scientifically proven method for accomplishing that?The Delivery: The book is delivered as a strangely meta-physical new age religion program mixed with a good helping of Buddhism. Keeping to a scientifically based explanation and how - to guide for positive change would have been great. What didn?? ?t you like about the narrator?? ?s performance? The author read the book and the reading cadence and pace inserts pauses and commas where the sentences and paragraphs should flow freely. Listening was difficult with the cadence she read it. Try on some change with insight and a little science; it’s a lot more fun than trying to wiggle into your wardrobe while angrily vowing never to think about smoking and shame.